Maine is one of the best places in the world to “lose it”. Lose the stress, lose the tension, lose the anxiety and take a deep breath. 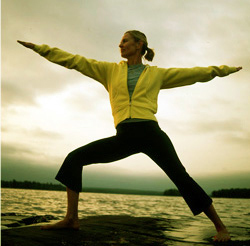 Spend some time at a Maine Yoga Health Retreat Center – an ideal way to unwind and rejuvenate . You’ll find amazing ways to vacation and get healthy in Maine. Find some of our favorites below. Ask us about Maine health centers and fitness or share your ME healthy living comments. To feature your Maine business, contact us.